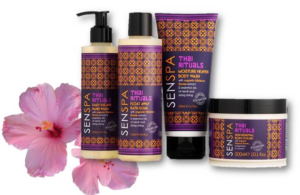 Inspired by the beauty of the Far East, SenSpa‘s luxurious new Thai Rituals Collection combines the best of natural and exotic ingredients with essential oils to ‘transform the everyday to the exotic’. mpleting the collection, the Moisture Heaven Body Wash cleanses and moisturises with neroli and organic hibiscus flower and leaves the skin delicately scented. 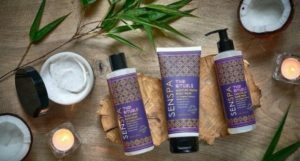 All SenSpa’s products are as natural as they can possibly be and are free from parabens, petrochemicals, sulphates and animal ingredients.